ProPresenter Stage Display for Raspberry Pi is a freeware application to use your Raspberry Pi as a cheap Stage Display so your singers and presenters can see the current and next slide text. You can also enable Lower Third Mode – generate Lower Third (or subtitle-style) lyrics from ProPresenter. Now you can have one ProPresenter operator effortlessly generate lyrics for both the main screen and a broadcast/internet feed. As this app has been built in Python, you can also use this on your Mac or PC (limited testing has been completed on the PC). What does ProPresenter Stage Display for Raspberry Pi do? ProPresenter Stage Display for Raspberry Pi is a simple way to display the current and next slides on your Raspberry Pi. It also has a clock. 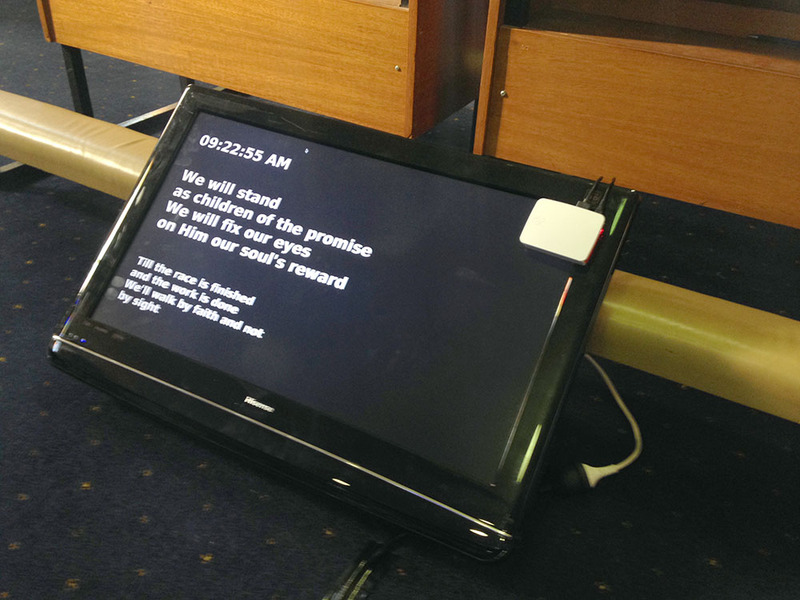 It is designed for churches so your worship leaders can see the current and next slide lyrics one one screen. 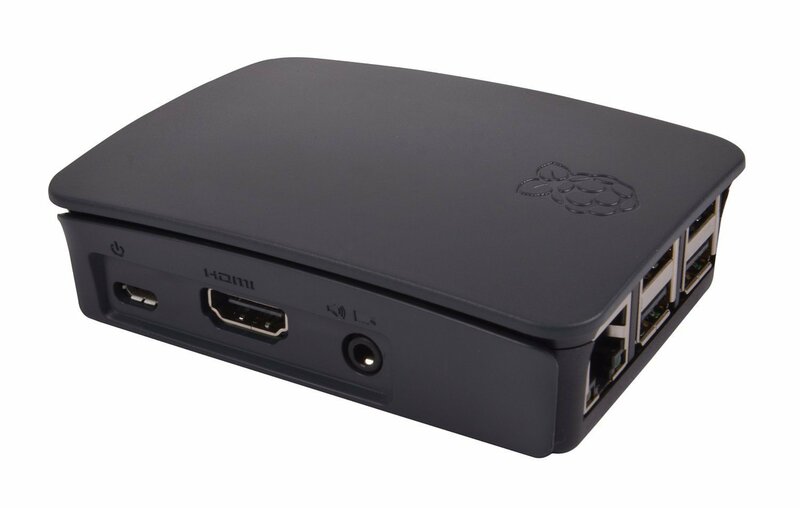 Because it runs on a Raspberry Pi, you can connect it to almost any TV. In simple deployments, you may like to power your Raspberry Pi from the USB port on the back of your TV. In more complex scenarios, you could input this into your SDI Router or Video Switcher. The application uses the ProPresenter TCP Stage Display API to receive data. It works over WiFi and Ethernet. If you enable Lower Third Mode, only the current slide will be displayed at the bottom of the screen – perfect for alpha-keying onto a video camera feed (e.g. live web stream). Ensure you update the IP Address, Port Number & Password for your ProPresenter computer. On your ProPresenter computer, this can be setup in Preferences > Network. Press Ctrl + X to close the Nano text editor. This software was designed for my local Salvation Army church in Parramatta. It’s in use every Sunday. I also use it for some divisional youth events. Since it’s release, there’s been a steady number of downloads. If you want to share how you’re using this app, please email me. Alternatively, hit me up on Twitter. If you’ve already installed this app, it’s simple to upgrade. You can also use this software to generate Lower Third (or subtitle-style) lyrics from ProPresenter. Now you can have one ProPresenter operator effortelssly generate lyrics for both the main screen and a broadcast/internet feed. To enable this mode, set ‘LowerThirdMode’ to true in config.json and restart the application. MergeLinesJoinChar: This character will be inserted between the two lines that are joined. Best to use a semi-colon or comma.